The Rotrex supercharger is the ONLY centrifugal Supercharger that is used as OEM factory fitment on a production car – the world record holder Koenigsegg CCX. Developed and manufactured in house, the Toyota Prado installation is an exciting OEM style kit that will transform your standard Prado. Designed to suit an internally standard engine, the Intercooled Bullet Prado kit reliably increases power to over 180 kws at the wheels! This is a gain of over 40% and is achieved with only 6psi of boost pressure. The power delivery from the Rotrex Supercharger is extremely smooth and feels like a factory installation. 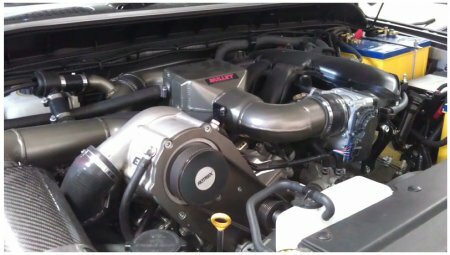 With unmatched boost response and Silent operation, Rotrex is THE centrifugal supercharger to have. It really does turn the Prado into an exciting well balanced sports SUV! Kits comes in DIY, Intercooled or we can fit.